Not so long ago, I discovered a wonderful spelt and yoghurt fruit cake at Tesco. I’ve had a packet of wholegrain spelt flour languishing at the back of the kitchen cupboard hoping to be put to good use for quite a while now. So when I was completely taken by that cake and then came across a Nigel Slater recipe for a blueberry spelt muffin, I couldn’t help but try and experiment with it myself. 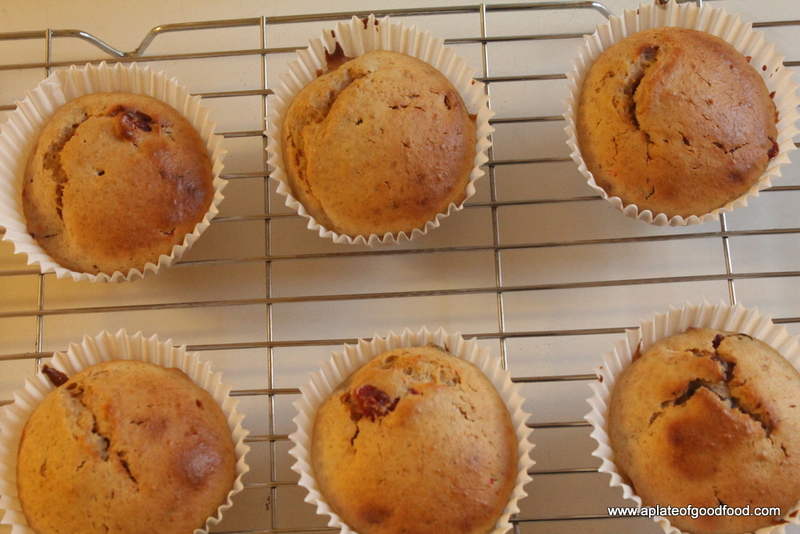 The result of that experiment were spelt muffins laced with raisins and glaced cherries. I went by the general rule that when using wholegrain flours it’s a good idea to add an equal amount of plain flour that contributes the all important gluten essential in baked goods. With that theory in mind and remembering that the cake I loved so much used yoghurt instead of butter, I put together a batter using spelt flour and plain flour, yoghurt, eggs, sugar and dried fruits. The result was really tasty little muffins. 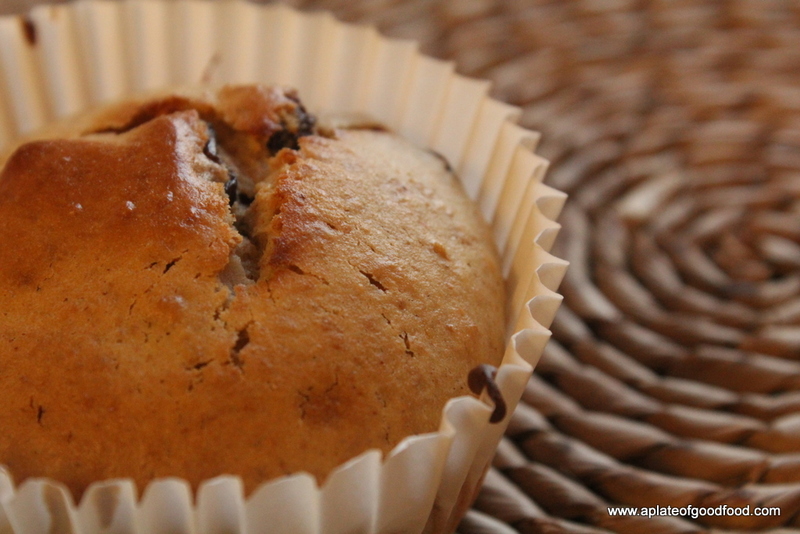 They may not look like the usual muffin with a fluffy top bursting out of its case but they tasted great with a nutty flavour from the spelt. Preheat the oven to 180 degrees Centigrade. 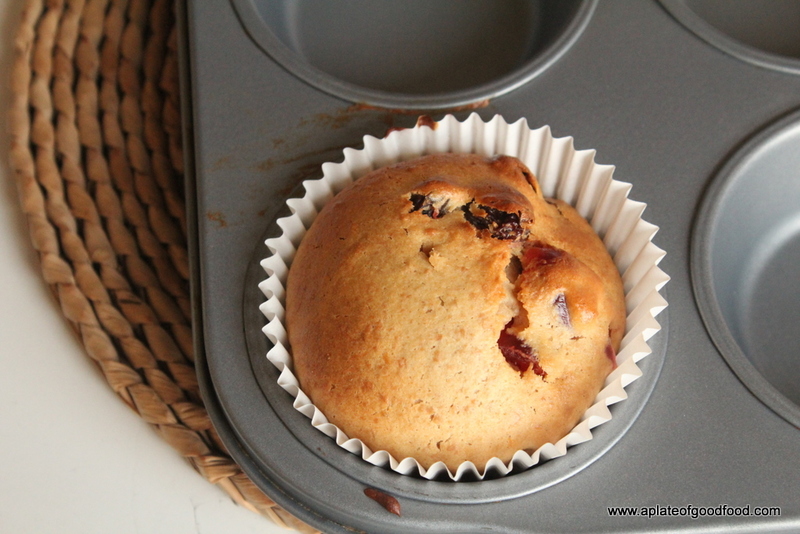 Line a muffin tin with muffin cases. To make the batter, sieve the flours together. Throw the bran that gets separated back into the flour mix. Add in the baking powder and salt. Mix the sugar, yoghurt, vanilla extract, orange zest and eggs together. Mix in the dry ingredients into the wet ingredients and fold in the raisins and glaced cherries. Fill each muffin case with about 1-2 tablespoons of the batter. Place muffin tin in the oven and bake for about 20 minutes or until a skewer inserted into the middle of the muffin comes out clean.